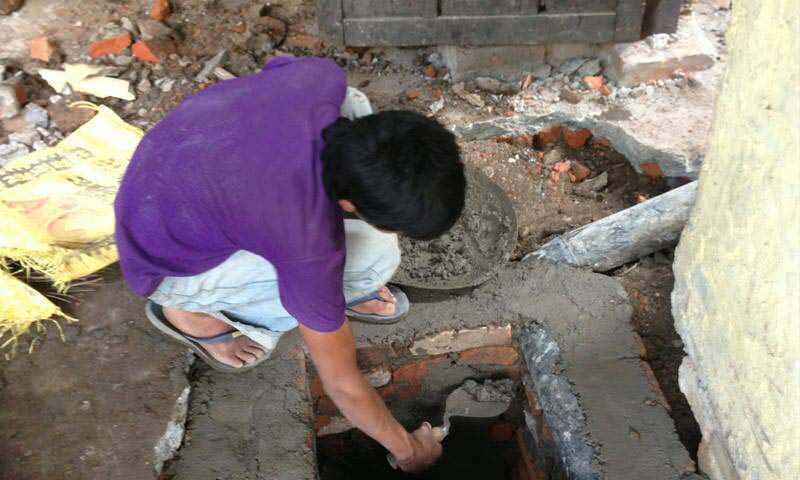 #NepalEarthquake - Information about the earthquake and how you can support. Later a Buddhist monk from China who was an emanation of the Wisdom Buddha Manjushri drained the lake and thus made the crystal stupa accessible for people. Nowadays it is protected against robbery by the dome-shaped structure. Throughout the centuries countless Buddhist masters from India, Sri Lanka, Tibet and China have visited the stupa. Swayambhu means Self-Manifested or Self-Sprung. The stupa represents Buddha’s mind. To visit a stupa is said to be the same as meeting a Buddha in person. It offers peace, freedom and joy to the whole world and ultimately helps us to obtain perfect enlightenment. 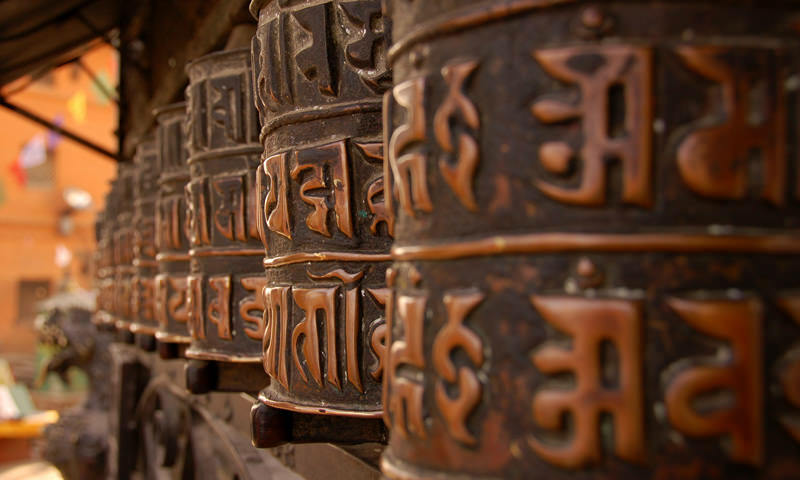 Just seeing, hearing about, reflecting upon, or touching a stupa fosters peace and even spiritual release. The stupa pacifies physical and mental difficulties such as sicknesses, famine and conflicts in all areas and directions. Spiritual practices bring stronger results when performed close to stupas than in other powerful places. Visitors and pilgrims walk around the stupa in a clockwise direction and recite mantras, make offerings, turn prayer-wheels and make wishes for the benefit of all beings. The Swayambhu Stupa  or Caitya stands on the highest point of the twin-peaked hill rising at the center of the Kathmandu Valley. Climbing up the long row of steps on the hill’s eastern side and mounting the last section of stairs, one is directly faced with the Buddha’s eyes painted on the top of the stupa. When walking around the stupa clockwise, one passes five shrines symbolizing the mandala of the Five Buddha families, represented by Akshobhya , Ratnasambhava , Amitabha , and Amoghasiddhi ; the 5th Buddha Vairocana  is placed next to the shrine of Akshobya. The shrines between them contain different forms of the female bodhisattva Tara . Near the Swayambhu Stupa a shrine has been erected where Manjushri stood to empty the lake and left his footprints on sacred ground. These monuments mark the birthplace of the Kathmandu Valley, which developed into the country of Nepal. Swayambhu, now a UNESCO World Heritage Site, goes back to ancient times. 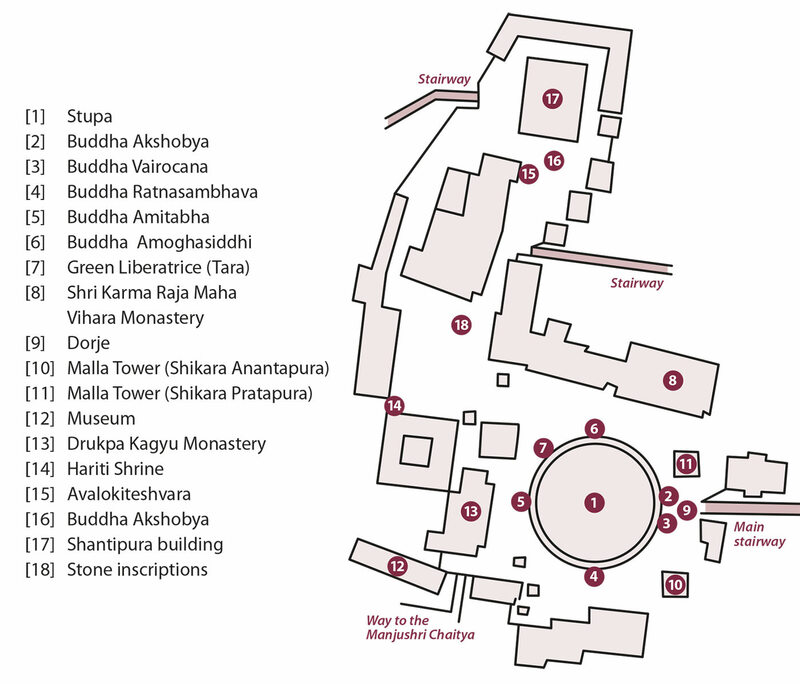 The earliest written record of the Great Stupa of Swayambhu is a 5th century stone inscription. 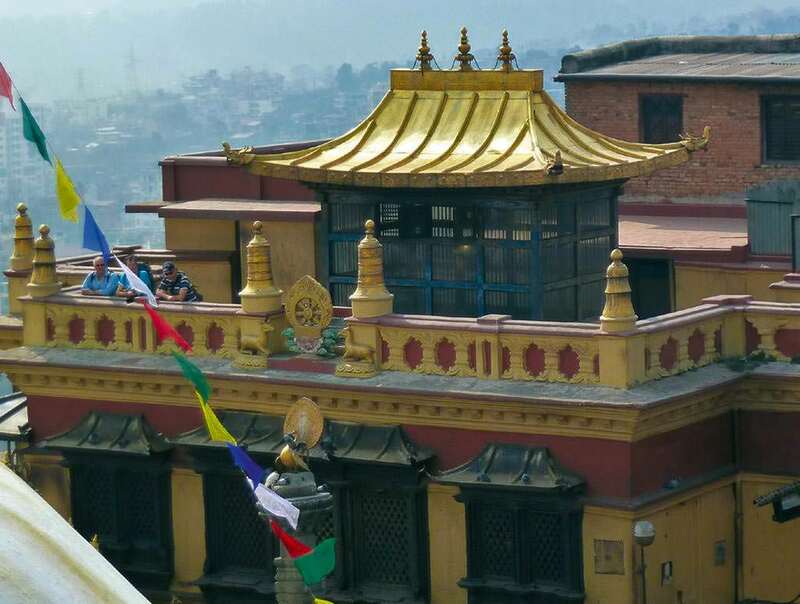 Honored by kings, monks, and pilgrims alike, the stupa has been restored and repaired on numerous occasions. In 1349 it was damaged by an invading Muslim army and later repaired by King Saktimalle Bhalloka. In 1505, the yogin Sangye Gyaltsen added the wheel and spire to the stupa’s dome. 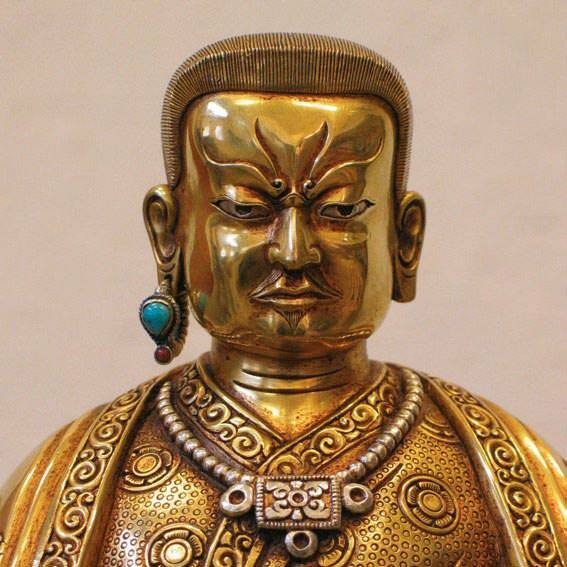 In 1614 the 6th Shamarpa had shrines built into the stupa in the four cardinal directions. Several important Kagyu lamas held a consecration ceremony in 1750 after a major renovation. The famous Bhutanese master Lopön Tsechu Rinpoche (1918-2003), the late abbot of the Bhutanese Drugpa Kagyu Monastery  on the western side of the stupa, came to Nepal in order to assist his uncle, the Drukpa lama Sherab Dorje, in restoring and maintaining the stupa during the early 20th century. The most recent renovation of the Swayambhu Stupa was completed in May 2010. The Shri Karma Raja Maha Vihara Monastery , situated on the northern side of the stupa, is the main seat of H.H. the 16th Gyalwa Karmapa Rangjung Rigpe Dorje in Nepal, directed by the abbot Sabchu Rinpoche. The current monastery has been continuously improved since its establishment, with the support of many Buddhist donors. In the early 1970s, the 16th Karmapa stayed here for several months conducting special empowerments, teaching, and giving audience to hundreds of disciples. Afterwards, the monastery continued the traditional monastic curriculum and meditation practices under his direction. 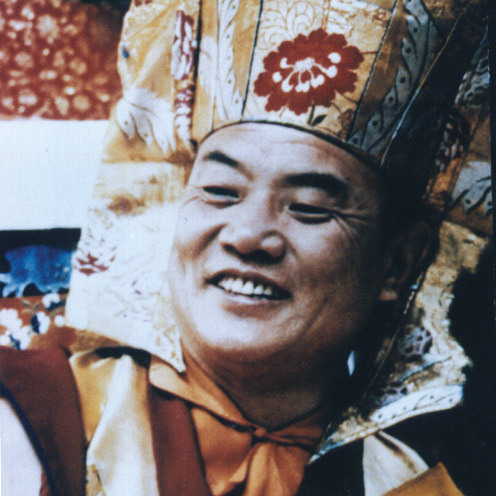 After the 16th Karmapa passed away, the 14th Kunzig Shamar Rinpoche (the second-highest lama in the Karma Kagyu lineage, whose responsibilities include identifying the reincarnations of the Karmapas) looked after the monastery, later passing it on to H.H. the 17th Gyalwa Karmapa, Trinley Thaye Dorje. At present, sixty monks are accommodated in the monastery. The Kagyu tradition is one of the four major schools of Tibetan Buddhism, a lineage of direct oral transmission. It especially treasures meditation, and through interaction with a qualified teacher can bring about the full experience of the nature of mind. 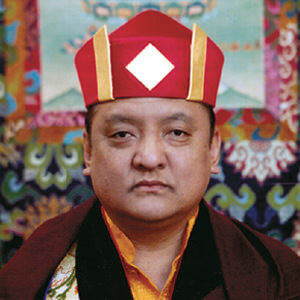 The Karma Kagyu lineage is one of the oldest and most widespread subschools within the Kagyu tradition. It passes on the methods that were taught by the historical Buddha Shakyamuni to his closest students. 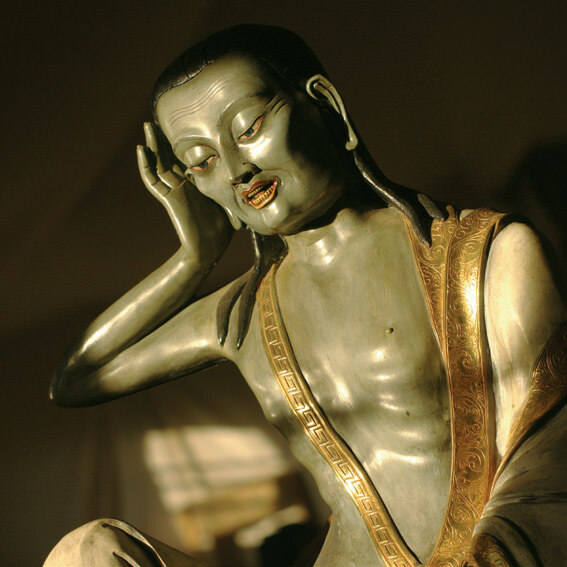 Through the Indian masters Tilopa, Naropa, and Maitripa, and the famous Tibetan yogis Marpa and Milarepa, these methods were handed down through Gampopa and Rechungpa to the 1st Karmapa Dusum Khyenpa (1110-1193). He became the founder of the principal seats of the lineage in Tibet. From the 1960s onwards Karma Kagyu teachers started to provide the opportunity to study and practice Buddhist teachings outside of Tibet. Today this offer has spread around the world. The Gyalwa Karmapa was the first recognized incarnate lama of Tibet. Throughout many centuries the Karmapas have been the head of the Karma Kagyu lineage. Karmapa’s successive conscious rebirths have kept the transmission alive and powerful to the present day. H.H. 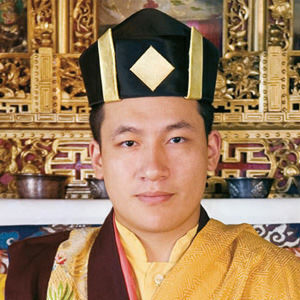 the 16th Gyalwa Karmapa, who left Tibet in 1959 during the takeover of Tibet by the Chinese, ensured the preservation of the Karma Kagyu lineage. He established new monasteries and centers and, together with his Western students, brought the profound knowledge about the true nature of mind to the modern world. H.H. the present 17th Gyalwa Karmapa, Trinley Thaye Dorje, together with other great Masters of the Karma Kagyu school, visits Buddhist centers around the world to transmit the teachings of the unbroken lineage and offer practical methods and advice applicable to everyday life. 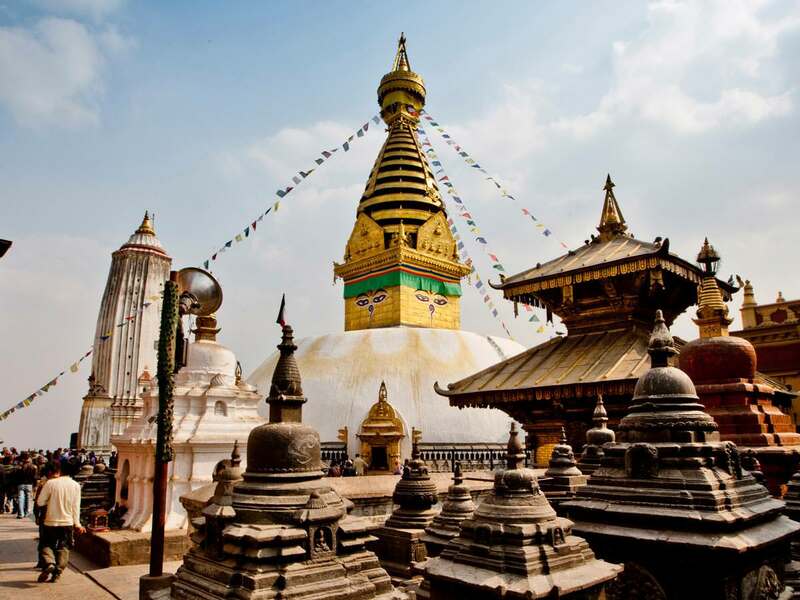 Follow the progress of the renovation and see what we do to preserve Swayambhunath. 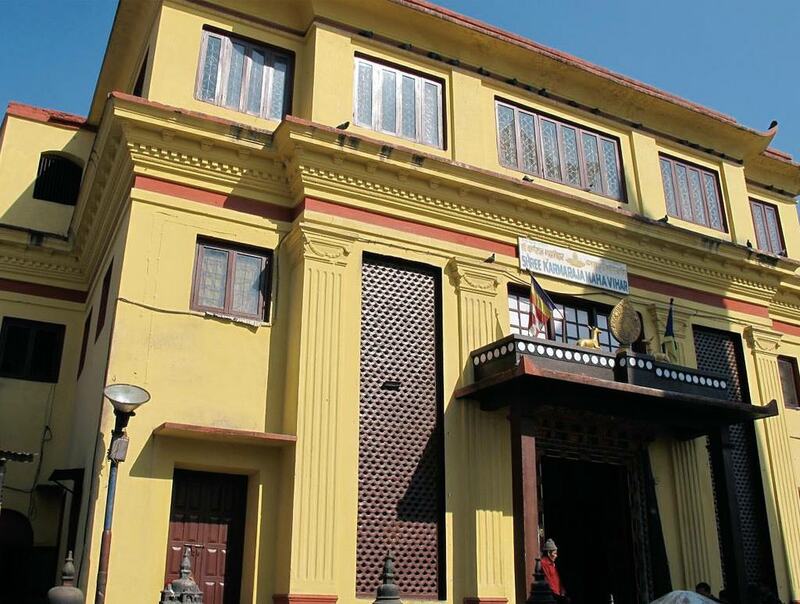 Learn how you can support the preservation and renovation of Swayambhunath.